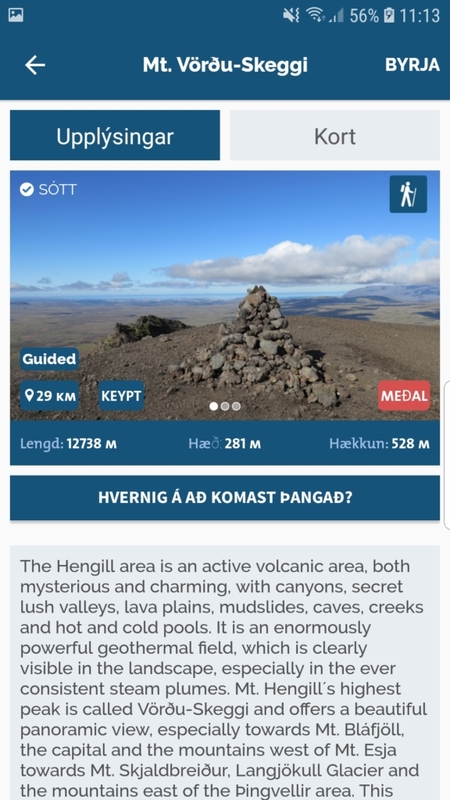 The Hengill area is an active volcanic area, both mysterious and charming, with canyons, secret lush valleys, lava plains, mudslides, caves, creeks and hot and cold pools. 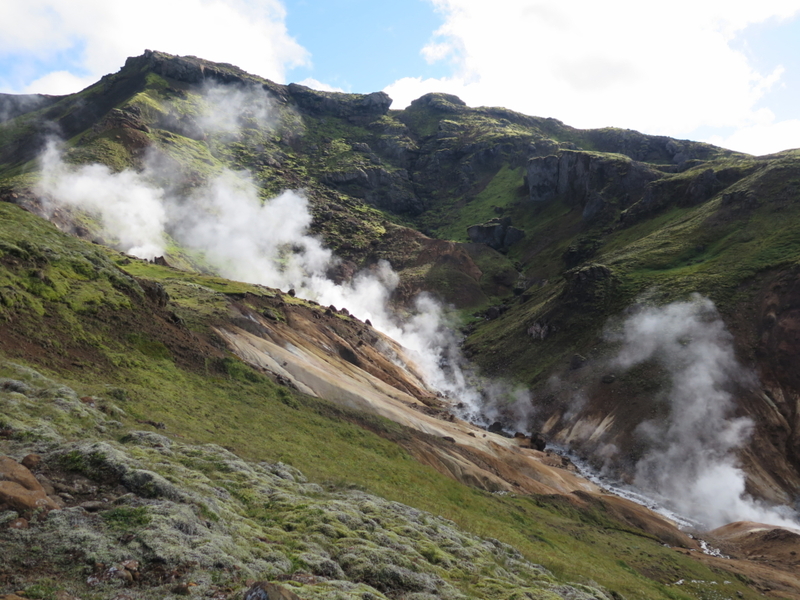 It is an enormously powerful geothermal field, which is clearly visible in the landscape, especially in the ever consistent steam plumes. Mt. 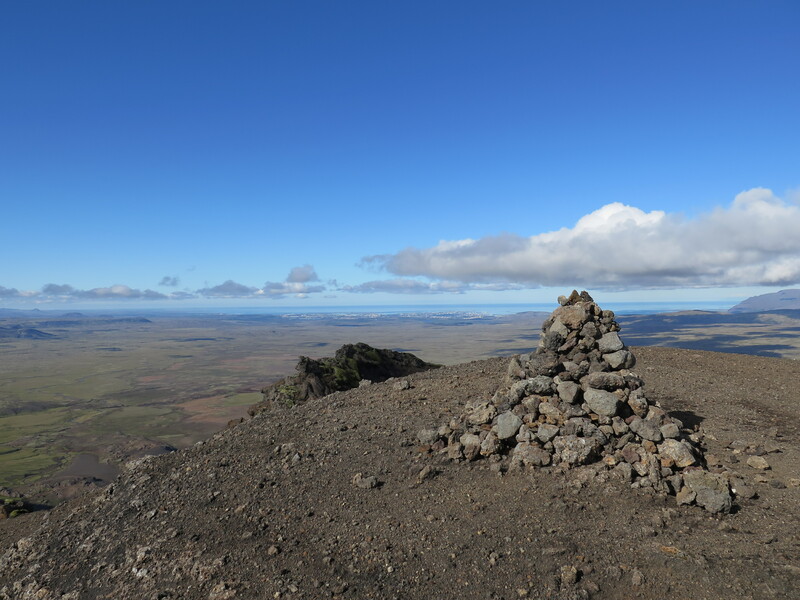 Hengill´s highest peak is called Vörðu-Skeggi and offers a beautiful panoramic view, especially towards Mt. 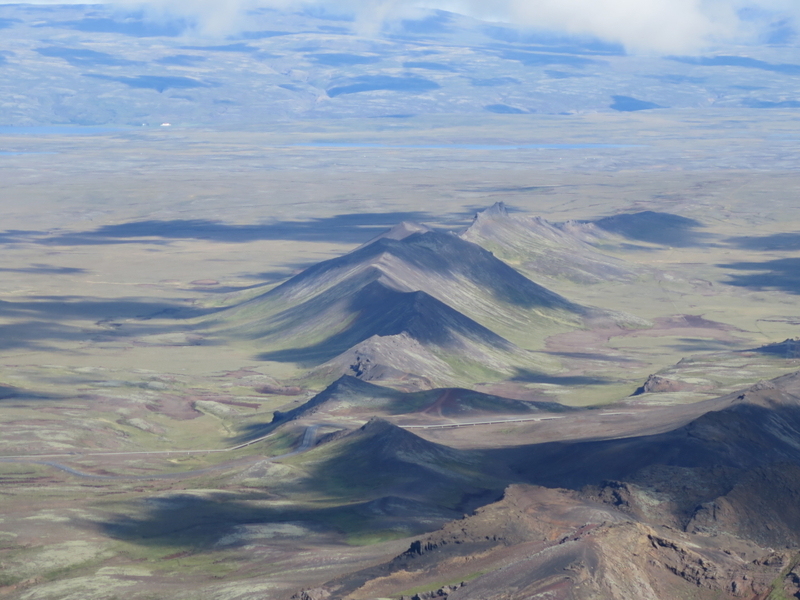 Bláfjöll, the capital and the mountains west of Mt. Esja towards Mt. 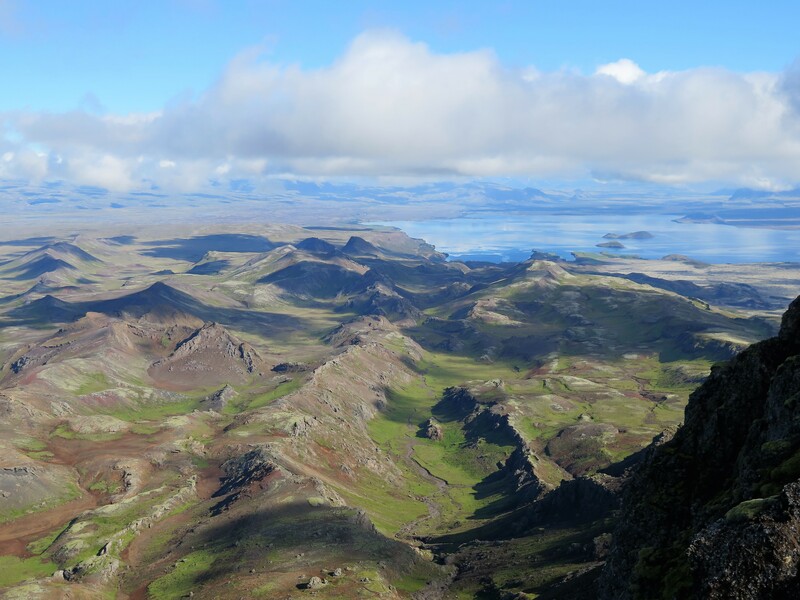 Skjaldbreiður, Langjökull Glacier and the mountains east of the Þingvellir area. 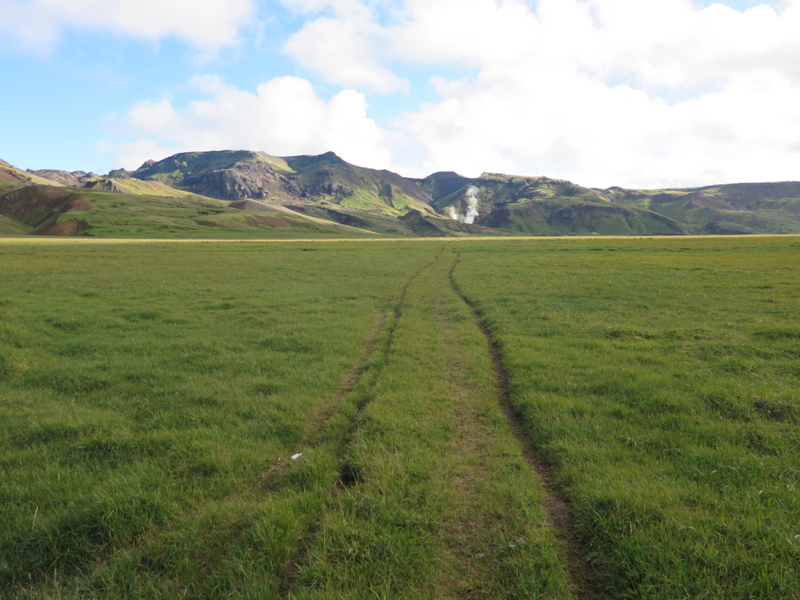 This route travels up Sleggjubeinsskarð (Sleggjubein Pass) and through the grassy Innstidalur, up along the steaming Hveragil Canyon and along the tuff ridges to the top of Vörðu-Skeggi. Heading back you take the route along Sleggja, a long ridge from Mt. Hengill, back towards Sleggjubeinsskarð to where you started. This hike is in summer easy for most people who are comfortable with this kind of distance and elevation. 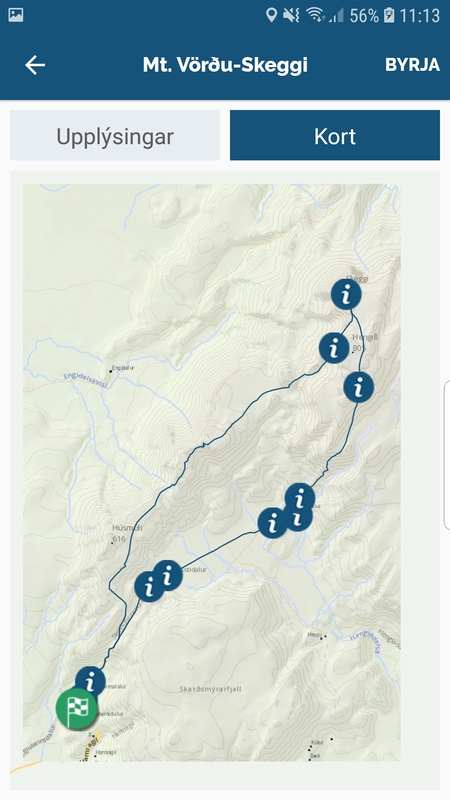 In winter, however, hikers need to be well equipped and carry cleats and an ice axe because the route can be difficult to navigate in ice and snow. Following are bits from the description of the route to Vörðu-Skeggi in Wapp-Walking app. 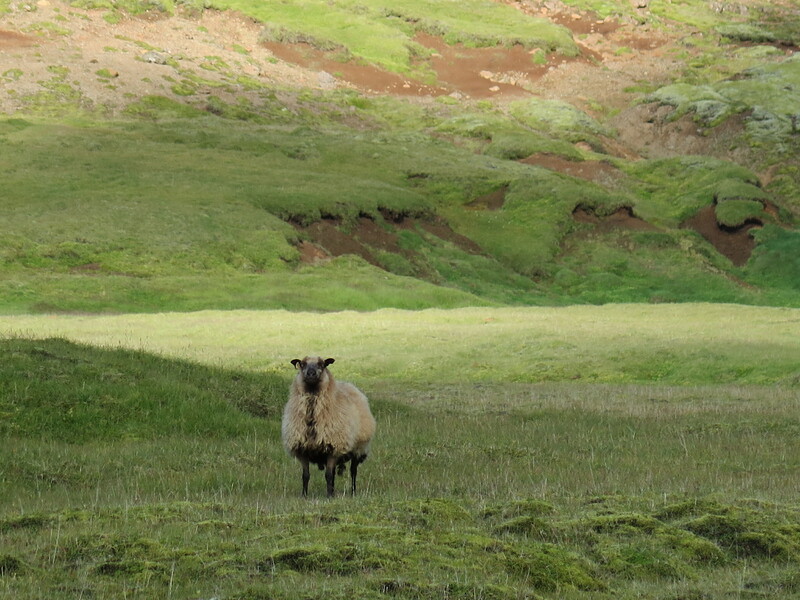 The lush Innstidalur (Innermost Valley) has probably been used for livestock since the settlement era. It is very sheltered and there is more vegetation than one would presume considering that it lies at 420-440 metres above sea level. There is an old legend about a bull that presumably perished here and haunted the place. It was said to be very vicious and impossible to conquer – mean and fierce, swinging human and animal entrails from its horns. The story goes that the bull once attacked a man who got away by climbing to the top of a rock after his horse was killed. He tried shooting the bull to no avail until he tore a zinc button of his coat and used it in place of a bullet. 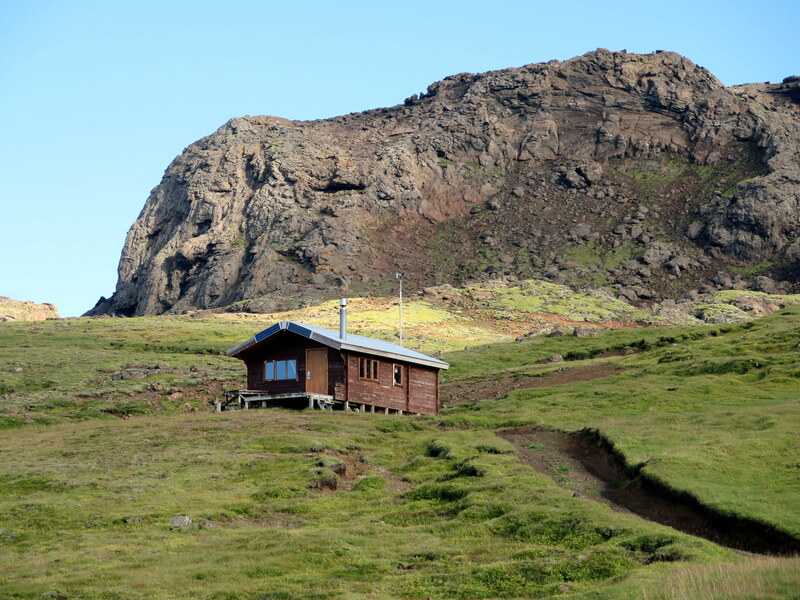 The cabin in Innstidalur is called Lindarbær and is privately owned. To the east of Lindarbær lies the colourful Hveragil Canyon with Gíslahver (Gísli´s Geyser), one of the most powerful in the country. 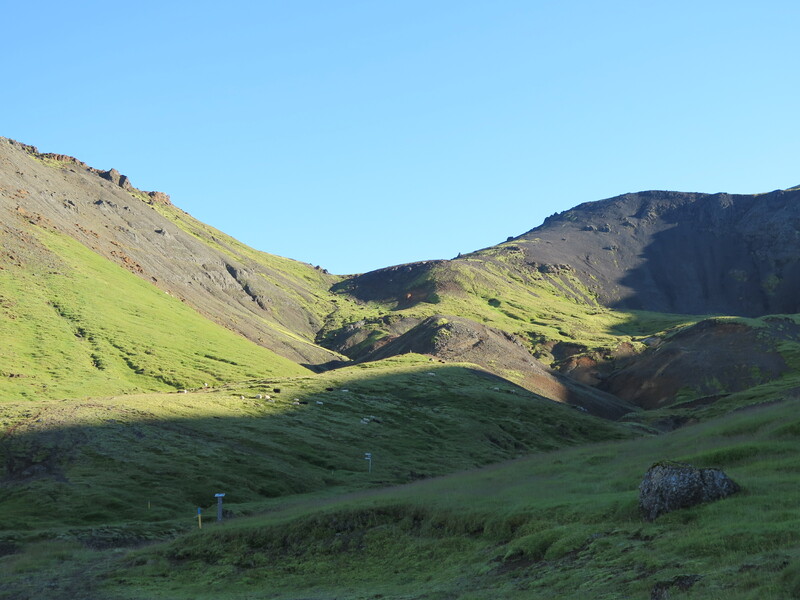 In 1934, Gísli Halldórsson, a young engineer, wrote an article about his idea of damming the canyon to produce electricity and to provide the capital with hot water. At the time people had little experience of using steam to generate electricity and most thought it unwise. The following discussion saw all kinds of political misrepresentations, and in 1937 the geyser temporarily disappeared when a mudslide fell on it. Gísli was mocked by many and the geyser named after him to ridicule him. 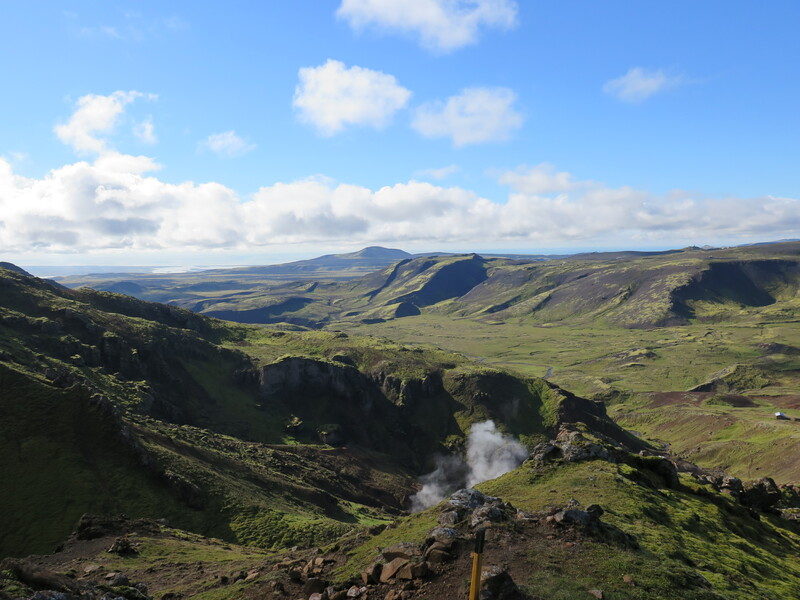 Some even thought that there was no more geothermal energy left in Mt. Hengill. The name stuck to the geyser but the dam never happened although the energy is plentiful. It is possible to walk down into the canyon but be careful not to step in hot geysers or tread on beautiful geological formations. From the top of Sleggja, there is a view of Engidalur and Marardalur valleys. 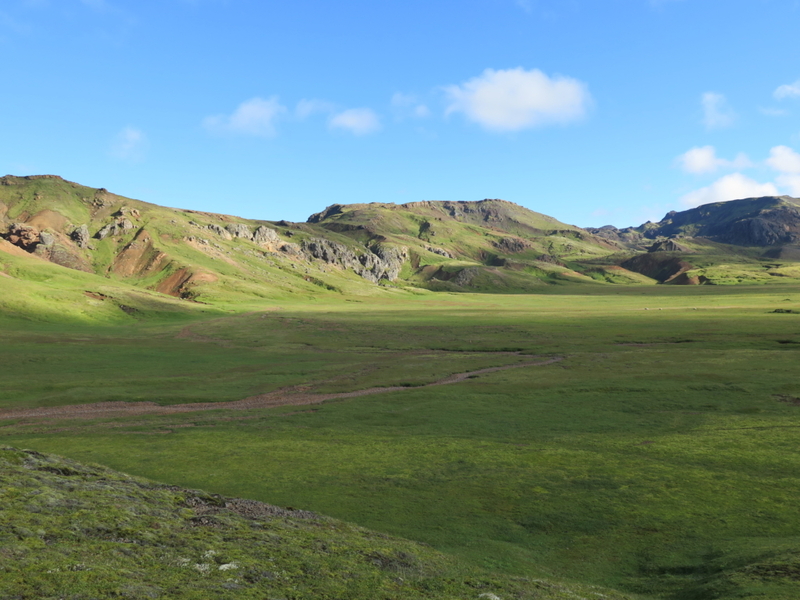 Both valleys were well suitable for grazing, the latter even more so, as it is completely closed off except for in one place. A fence was built there to prevent the animals from straying. There are also small caves in the valley where the shepherds supposedly stayed. Presumably the last reindeer in the southwest of the country were killed in Marardalur in 1925. A herd of reindeer had been released in Hafnarfjörður in 1777, they roamed the Reykjanes Peninsula, Mt. 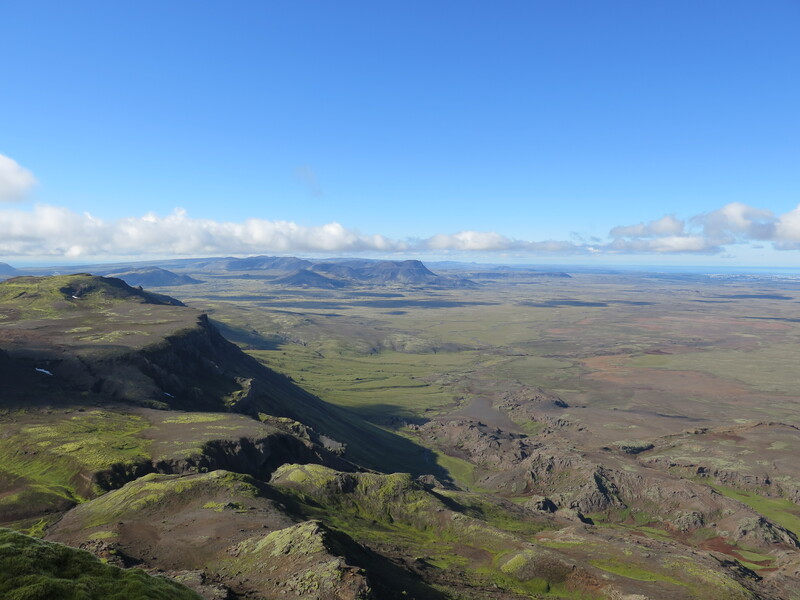 Bláfjöll, and the Hengill area for 159 years. It is said that a trigger-happy hunter managed to trap the last animals in Marardalur, and he didn´t let up until he´d killed all of them. Apparently he didn´t know these were the last ones.